Avail from us a wide range of Ball Pens, as we are engaged in offering these products in small as well as bulk as per the needs of our clients. These pens ensure a smooth flow and also have an appealing appearance. The nib of these pens is thin and is made of fine stainless steel. These can be easily bought at reasonable prices. We are offering Best Pens to our customers. The pen is of wonderful quality. Long lasting Ink system. With a focus on the ever-evolving demands of our customers, we are engaged in trading a wide array of Metal Clip Ball Point Pen. 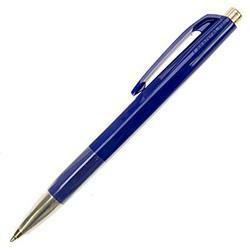 In order to retain remarkable position in this industry, we are providing a wide array of Dark Lilac Ballpoint Pen.